The Philippine stock market is where you can buy and sell shares of certain companies. This will enable you to become a “shareholder” of prominent companies. Among the most popular companies listed in the Philippine stock market are Jollibee Foods Corporation, Puregold Price Club, Incorporated, and Ayala Land, Incorporated. Often times, most Filipinos think that the stock market is an investment only for the rich people. They perceive stock market as something very expensive, complex and would need a great deal of studying and timing the market. With these uncomplicated guidelines, we will discover that even ordinary Filipinos can take part in the stock market and experience the profitable advantages that this kind of investment offers. Stock market is good as a long-term investment of around 10 years or more. This is to make sure that you learn throughout the years, and to combat any negative implications that the market may encounter such as incompetent management of the company you are a part owner of or damaging news or scandals. Thus, if your goal is to have a retirement fund or a college fund for your children 10 or 20 years from now, the stock market is for you. One can earn from the stock market through buying a certain stock then selling at a much higher price. Of course, this can take time. For a company to have high-costing shares, growth and expansion within the organisation must be achieved. Another way to earn from stocks is through dividends, which are given by the company that you are a shareholder of. These may come in the form of cash or share dividends. Each company sets how often, when, and how much to give their investors as benefits. There are stocks that are more stable and give you little to mid-range amount of returns but are also steady and less likely to be greatly affected when market goes down. On the other hand, there are also volatile stocks that the prices can go from extremely high to extremely low depending on the circumstances. It is advisable that an investor assess if he is a conservative, mid-risk, or high-risk kind of investor. To help investors decide, brokerage firms or the Philippine Stock Exchange offers talks and workshops on stock trading and suggests various stocks for each type of investors. One of the main reasons why some investors lose their money is when they take buy signals from others and failing to do their own analysis. A good investor also invests time in studying which stocks are worth their hard-earned money. For beginners, blue chip companies such as PLDT, Meralco, and SM Prime Holdings are good starting purchases. 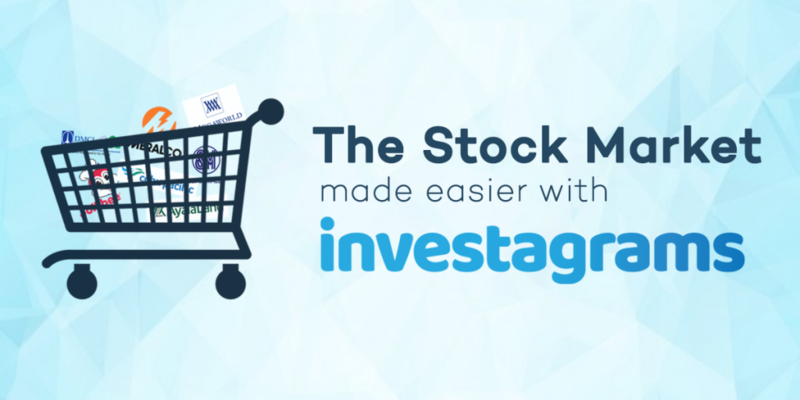 To give you a better view and practical application on trading in PH stock market, there are free trials available online such as Investagrams’ virtual trading platform (https://www.investagrams.com/). With this helpful tool, you can start investing in the PH stock market and maintain a portfolio without having to invest actual money. 6) How Can You Actually Start Trading? Once you have done your research on the market, attended seminars, and tried virtual trading, you can finally start investing by finding a traditional or online stockbroker, which is authorised to make a purchase and sell PH stocks in the stock market. Traditional brokers are individuals to whom you can coordinate your transactions with. They also give financial advices on which stocks to buy or avoid. Presently, you can even get in touch with them through modern messaging platforms such as Facebook Messenger or Viber. Online brokers are institutions also authorised to make transactions in the stock market. You must log on to their websites and do the transactions on your own to start your trading. Online brokers charge lesser fees and quicker transactions compared to their traditional counterparts. However, an investor must be better equipped with the market as there is no one to help them but themselves. 7) How Much Money Do You Actually Need to Start Investing? One of the greatest misconceptions about investing in the stock market is that you would need a large sum of money to start. In reality, an investor can start investing for Php4,000.00 or even less! In order to acquire stocks, you must buy them by Board Lot. A Board Lot is a set amount of stocks or shares that you must buy in order to acquire stocks. This is determined by the Philippine Stock Market to make way for a much more effective trading and to prevent odd lots. For instance, company A is selling Php40.00 per share. According to the Philippine Stock Exchange, a stock price ranging from Php5.00 to Php49.95 requires a board lot of 100. This means that in order to buy shares from company A, an investor only needs to shell out Php40.00 multiplied by 100 which is equivalent to Php4,000.00 plus very minimal fees and charges only. So what are you waiting for? Start investing in the Philippines stock market in order for you to start your quest for financial freedom!